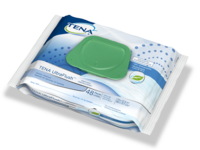 At TENA, we are committed to providing better continence care for all. With 50 years of experience, we partner with you to tailor solutions that offer optimum fit and functionality, improving quality of care. We invest in research and real-life insight to ensure we offer a wide range of high-quality products that meets all your needs. Our innovative products and best-practice routines offer rewarding and effective care for your residents and your staff. We support our customers’ need by providing staff the incontinence related training they require, when they need it, via a simple to use online training tool. TENA understands that each situation and individual is unique, and for us individualized care is key. This means providing products and care routines that are tailored for each resident, as well as your work environment. By partnering with you, we support you in delivering rewarding continence care that improves your residents’ quality of life, and the efficiency of your Long Term Care Home. We provide tools to help you assess each of your residents’ individual care needs. This approach allows you to offer personal, dignified and efficient care for each person. We offer a range of support tools to help you and your staff implement individualized care plans. Our online training helps your staff deliver continence care that makes a difference to your resident and your business. To ensure that improvements in your long term care facility are sustained year over year, we offer a range of tools to measure and evaluate the success of our solutions. We help you continuously evaluate your budget based on incontinence-related costs, as well as your residents’ and staff’s satisfaction. 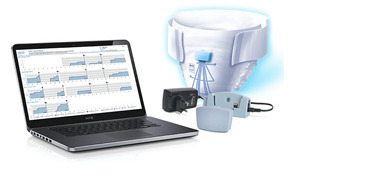 Discover our latest innovations in the field of continence care. TENA visits us regularly and trains our staff, which is why our continence care works so well.